As the cold settles in around England, people are anticipating what is predicted to be a ‘mini ice age’ this winter. There is something undeniably cosy about a chilly festive period, with snow on the ground and a dairy-free hot chocolate on the table. Many people love that England has the four seasons, and I do like the change, but still I can’t help but reminisce about summer. Last summer was really special for me as I visited my first ever farm sanctuary in England. At the time I had no idea that visiting Hillside Animal Sanctuary in Eastern England would be the beginning of my ongoing fascination with places that dedicate their life’s work to rescuing farm animals. 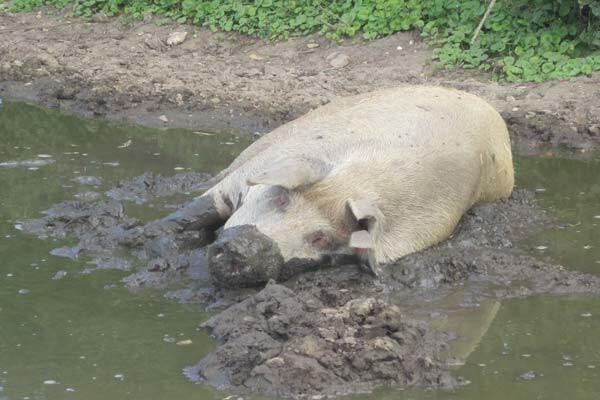 Hillside is probably the most well-known sanctuary in the country, not just for all the rescued animals, but also for the investigations it organises to expose such injustices. Here’s the story of my visit. It was a sunny Saturday afternoon, and I was excited to visit my first farm sanctuary and to see pigs for the first time (I can’t quite believe I had never seen a pig before this!). Hillside runs two sanctuaries in the area of Norfolk, England, and on this day I visited the Horse Shire Sanctuary. Whilst driving up to the entrance, I was immediately surprised by how huge the area was. There was a vast amount of open land, and straight away I could see cows in the distance, visibly happy and enjoying their surroundings. 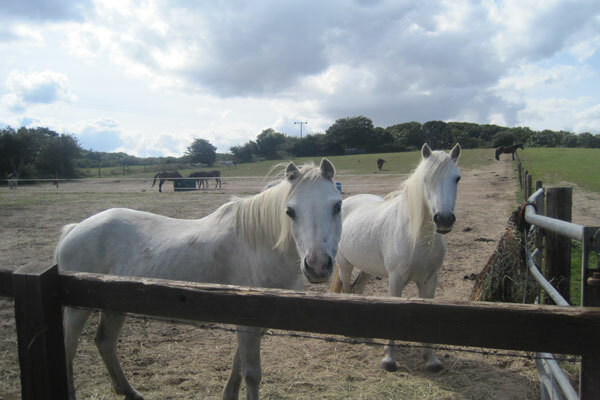 I made my way into the sanctuary to be greeted by several horses; the sanctuary is actually home to over seven hundred horses, ponies, donkeys and mules, with most of the residents saved from the farming industry. As I continued my journey around the sanctuary grounds, I was pleased to see there was clearly no prejudice in regard to the type of animal offered a home here. 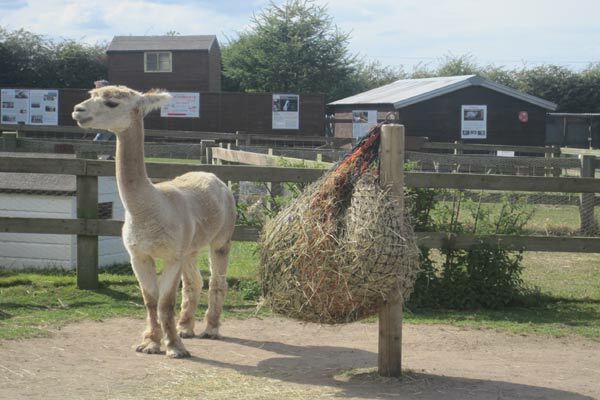 The range of animals cared for at Hillside ranges from more traditional farm animals – including pigs, cows, chickens and sheep – to the more exotic ones, from parrots to llamas! It seems any animal that needs a home will be given one at Hillside Animal Sanctuary It was also really comforting to see that the sanctuary is kept to a very high standard and is constantly cleaned and monitored, with each animal given plenty of space; a strong contrast to the short sad lives they would have had lived on factory farms. A highlight for me was seeing the families of pigs who all seemed so happy to be out in the warm fresh air, cooling themselves off in the mud. I got to meet a pig I had previously adopted, Billy Griffin, and read about his journey to Hillside. 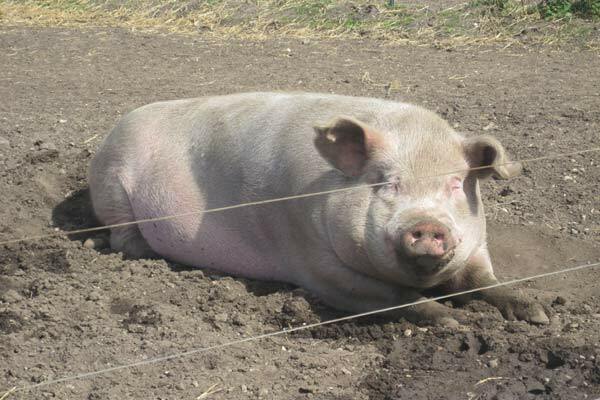 Billy was rescued in 2009 as a two month old piglet, so it was lovely to see him enjoying life as a full-grown pig. During my visit I was lucky enough to meet Wendy Valentine, owner of Hillside, who explained that the other sanctuary was full up with such a high number of farm animals, which is why it is only open to the public on rare occasions. 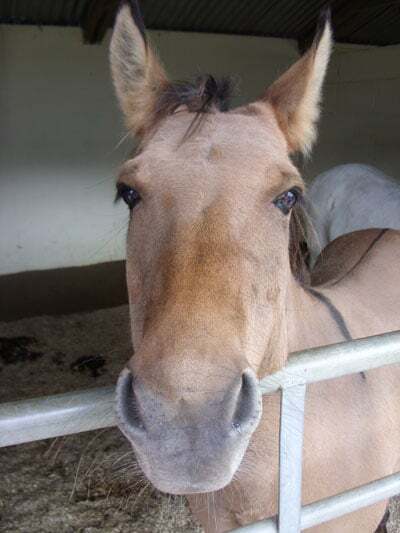 She also talked about how buying a horse shire sanctuary had generated a lot of public interest – people primarily want to see the horses, but are of course free to walk around and see the other rescued animals, too. With its very own vegan café and wide selection of cruelty-free products available to buy in the gift shop, Wendy has ensured that the sanctuary stays true to the morals that lie at its heart. As well as the animal rescues, Hillside also organises investigations and is one of the UK’s most successful campaigning organisations for animal welfare. Investigations include exposing such injustices as horse abattoir cruelty and the suffering on chicken factory farms. The sanctuary does such valuable work in bringing the brutal realities of the industry to light, trying to make consumers aware of what they’re funding whenever they buy meat and animal products. 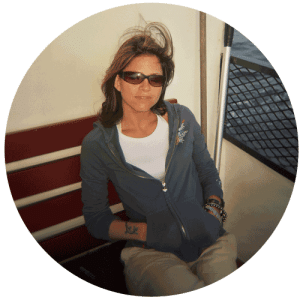 Wendy explains that the reason so much suffering takes place in the farming industry today is because people are unaware of the cruelty involved, so Hillside aims to inform and educate the public on these matters, in hope of a better future. I witnessed families that had visited the open day with their children, expecting a regular animal park. But in fact, they were confronted with information about the realities of animal agriculture, and learned about the suffering the animals living there had endured. I left Hillside Animal Sanctuary feeling grateful for the fantastic things the sanctuary has achieved, and is continuing to achieve, for animals. With the cold firmly staying put for the next few months in England, it’s important to realise the hard work that sanctuaries such as Hillside carry out in these winter months, showing dedication to the animals and to a vegan future. 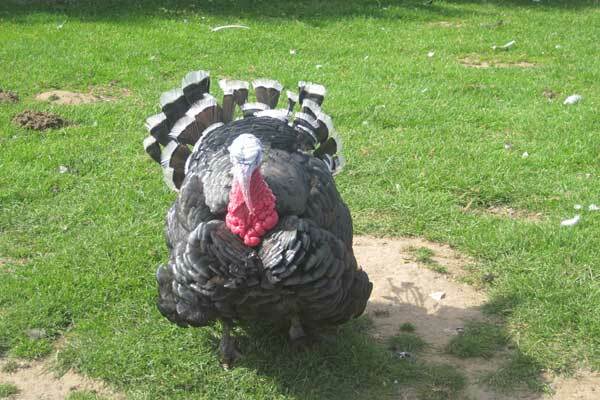 Where: There are two Hillside Animal Sanctuaries, both in Norfolk, England. See here for directions. When: Hillside open days are hosted throughout the year. Keep an eye out here for upcoming events.